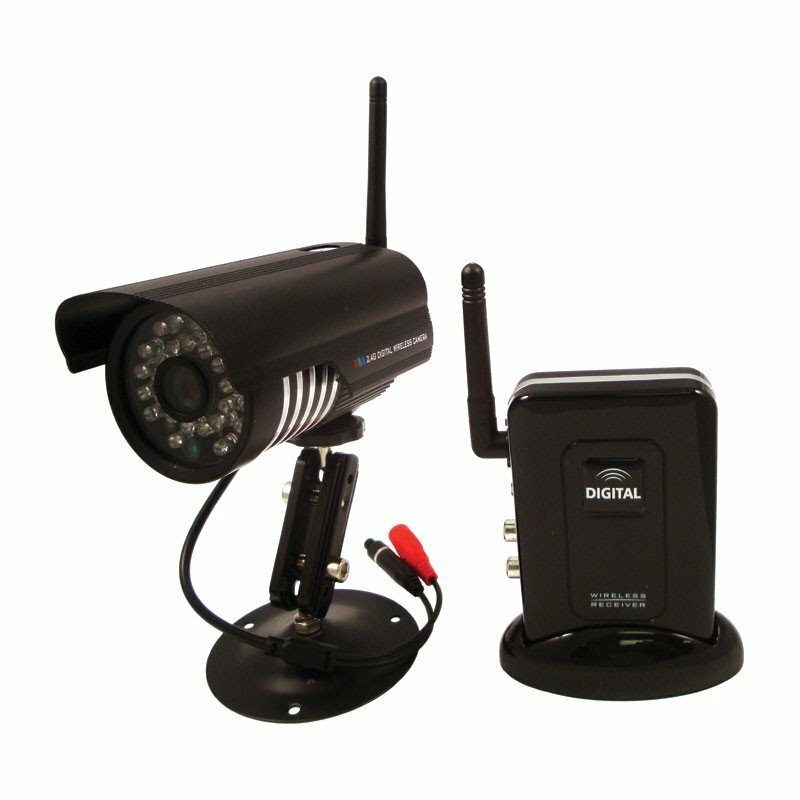 This digital wireless infrared camera system offers greater distance and zero interference when compared to standard 2.4GHz wireless cameras. The Night Vision color wireless camera has 27 IR LED’s for over 70 feet illumination. The LED's turn on automatically and the picture switches to B/W when the light level gets too low and shuts off automatically when their is plenty of light for the camera. The transmitter's digital wireless technology provides clean, crisp images up to 425 ft with line of sight even with other wireless devices active. Equipped with an 8mm lens the camera is best used for long distance surveillance, driveway or entryway. The camera is paired to the receiver making the video more stable and ensuring privacey. The 2.4 GHZ multi-channel receiver can be set to single or quad screen with standard A/V output for viewing on TV or inputting to a video recorder.